Composer D. Imman is having the busiest time of his career. Every note of his is a chartbuster. There is no turning back for him since the Mynaa wave seeped in. After Desingu Raja, director Ezhil is ready with Vellaikkara Durai now. VVS, Jeeva fame Sri Divya plays the love support to Vikram Prabhu, and Soori will take care of the comedy department. Imman scores the music for this flick, which would be released on December 10th by Sony Music. News doesn't end here. Imman's other outing Romeo-Juliet, the Jayam Ravi - Hansika starer will also hit the music stores soon, and Sony would again be releasing it. 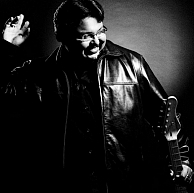 It's a double treat from Imman this time. A New Exciting Addition To Romeo Juliet! People looking for online information on D Imman, Romeo Juliet, Vellaikkara Durai, Vikram Prabhu will find this news story useful.